In a meeting with Chief Minister Pinarayi Vijayan, Rose made a request for 10 more acres for the university. 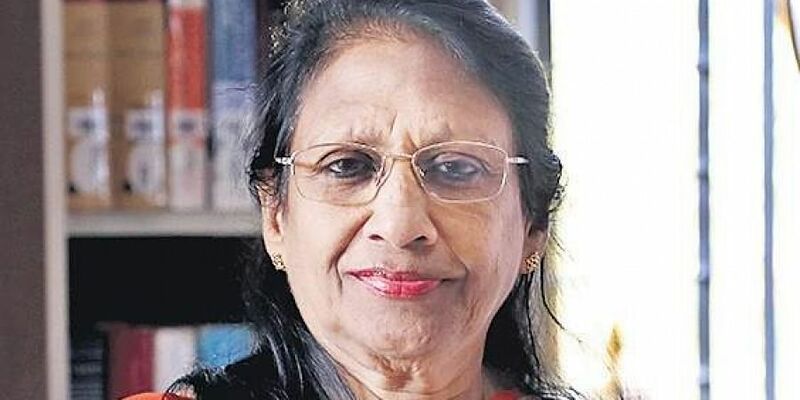 KOCHI: From practising criminal law to teaching students the nuances of criminology, Rose Varghese who will step down as vice-chancellor of National University of Advanced Legal Studies (NUALS), Kalamassery, on October 22, has trudged a long distance. And yet, the 65-year-old brims with an energy one is hard-pressed to find in youngsters today. “It has been a long and satisfying journey, throughout which I had the God’s grace with me. When I started out to study law, I never thought that I would be taking up teaching as a career, but things happen for the best. I discovered I had a genuine passion for teaching even though I had been successful as a lawyer too,” she said. Rose took the reins of NUALS in October 2014. “I was on deputation from Jamia Milia Islamia (JMI) University, Delhi. I had completed my tenure as dean of the department of law there when this job was offered to me. I was very happy about it since I would be returning home after a long time. My house was just 10 minutes from here. Even though my parents are no longer alive, the place still holds a special place in my memories,” she said. Her teaching career began with a stint at Nagarjuna University, Andhra Pradesh. “After my LLB, I was a junior with Easwara Iyer, a famous criminal lawyer. At that time, I thought of doing LLM alongside. I still remember Justice Subramanium Potty asking me not to do LLM. He told me if I did, I might end up as a teacher. His prophecy proved right,” she said. What tilted the scales in favour of teaching was her concern for her sons. “I believe a mother’s first priority, whether she has a career woman or not, is her children, so I decided to take the academic route,” she said. Teaching gave her ample time to spend with her children. “When I began teaching, I developed a passion for it. What helped me most was that my husband too is a law academician,” she said. Rose and her husband landed jobs with Nagarjuna University. When the National Law University was set up in Bengaluru, they moved there. She taught the first five batches. She then got an opportunity to go to Geneva. “While I was in Geneva, my husband got a senior position in Delhi, so the next part of my life played out in Delhi,” she said. She was the legal consultant for the National Commission for Women. In January 1994, she got an associate professor post with JMI. Rose, who has many degrees under her belt, brought many changes at NUALS, including setting up a new library, seminar hall, girls’ hostel and around seven centres of education. “When I took charge, my aim was to develop infrastructure, since better infrastructure is necessary to bring in academic excellence,” she said, adding ethical, moral and social values are also important for a student of law to achieve excellence. Like house surgency for medical students, Rose is keen for LLB students to have a year dedicated to practice. “The course should be four years of theoretical plus practical studies and a year of practice. I have shared my views with my peers at the VCs’ meeting held a year back. Hope they take it up,” she said. She going to bring it up again at the VCs meeting to be held soon. “The dreams are many, and one thing that I will be doing after retirement is writing a book. I am too old for practice, even though I would like to take it up,” she said.